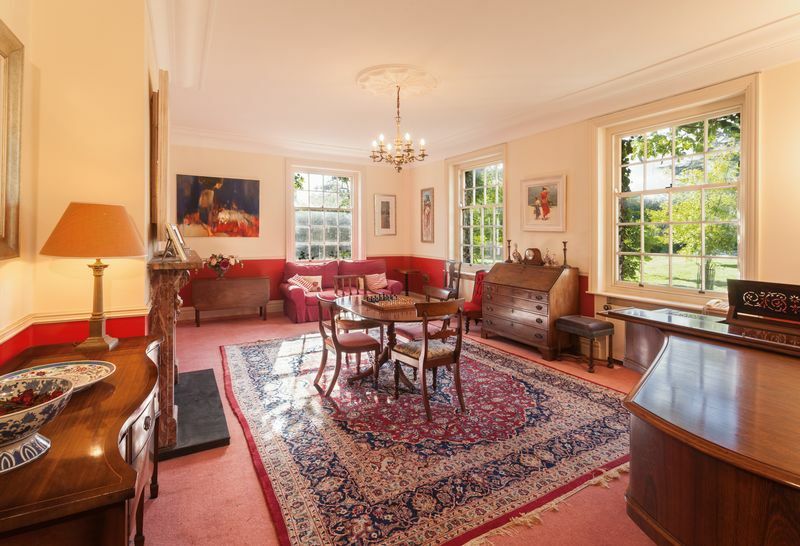 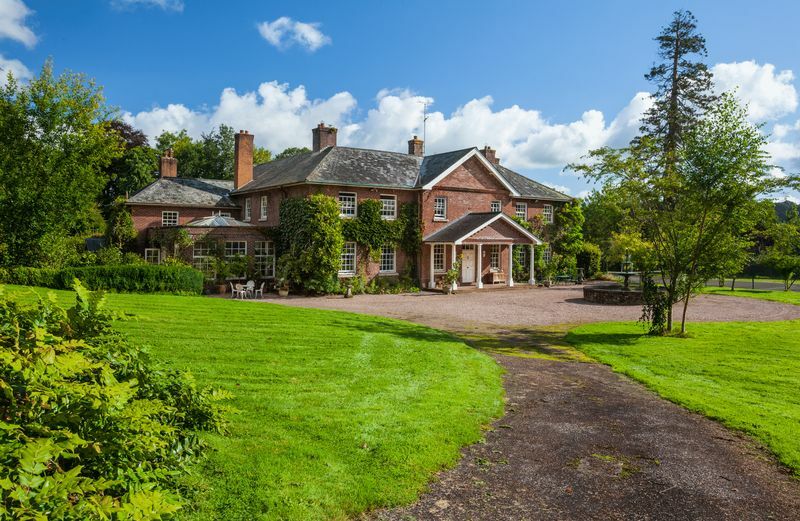 An unlisted country house rebuilt in the 1930's on a historic site in a very privatesetting surrounded by its own land in the beautiful Exe Valley with no public rights ofway. 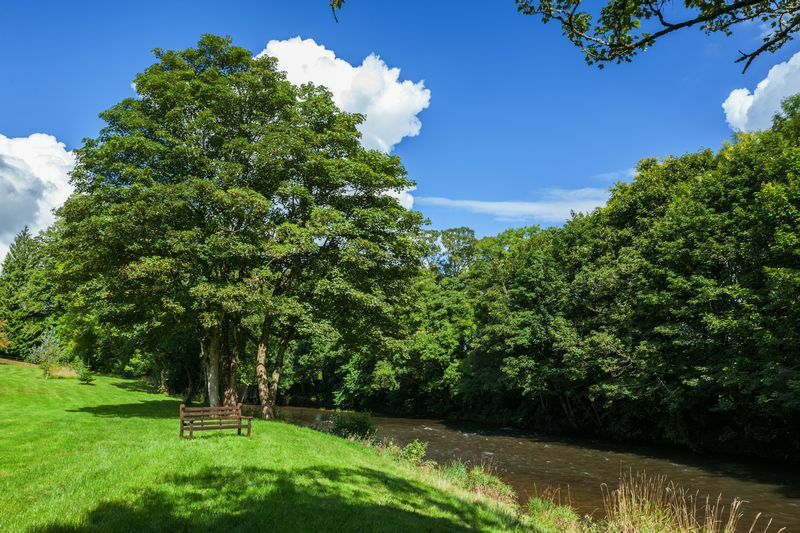 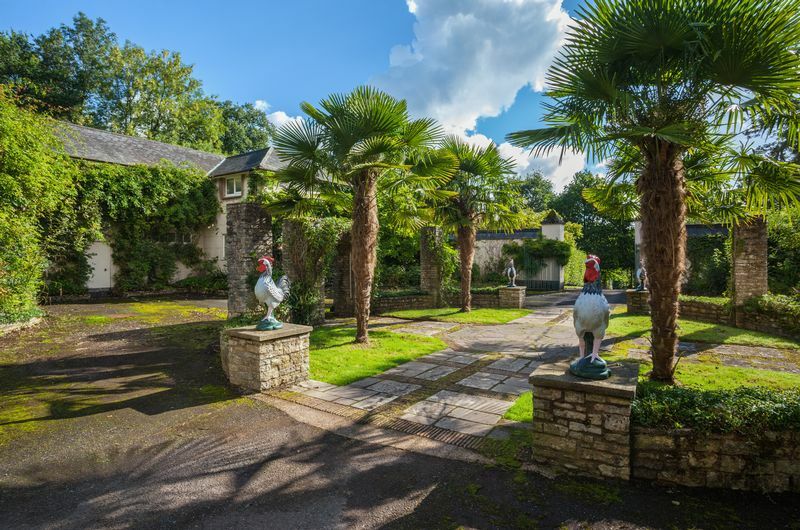 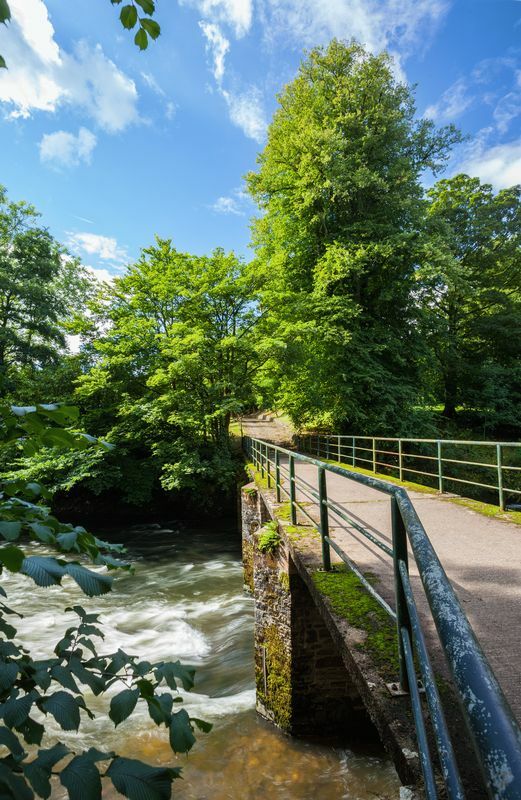 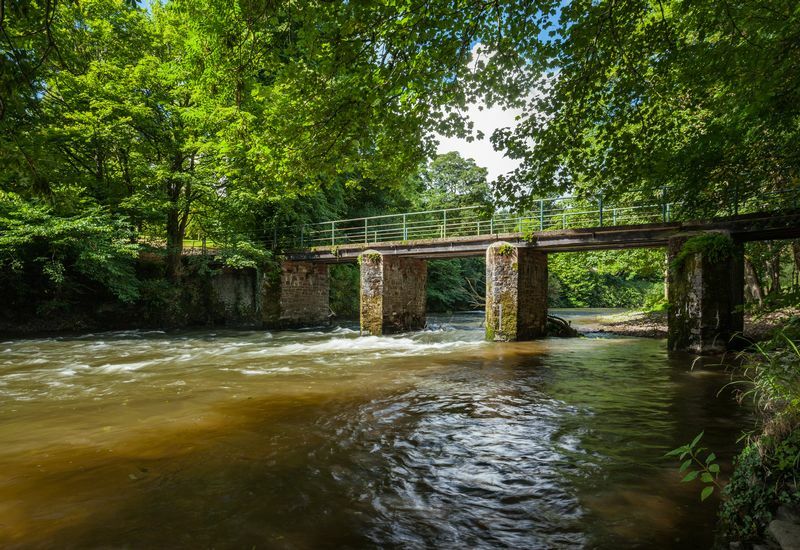 The property is approached via a long private drive, electric gates and a bridgeover the River Exe. 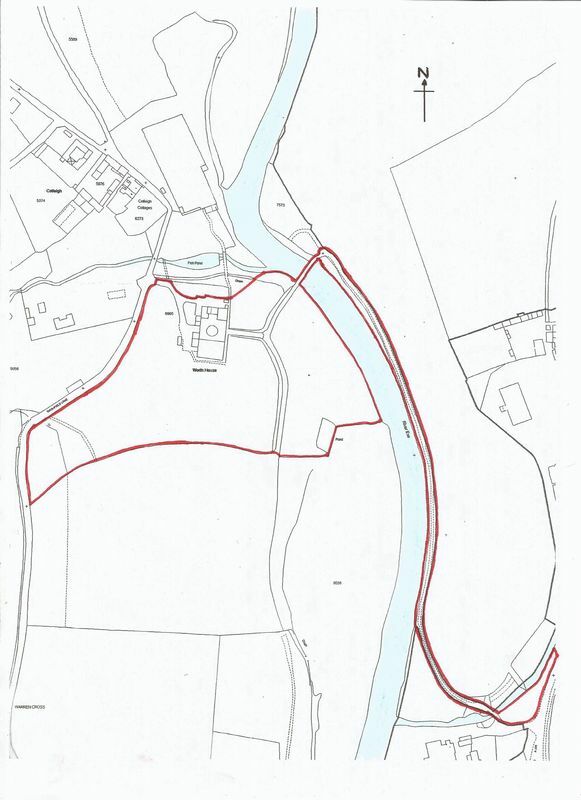 There is further access from Washfield Lane. 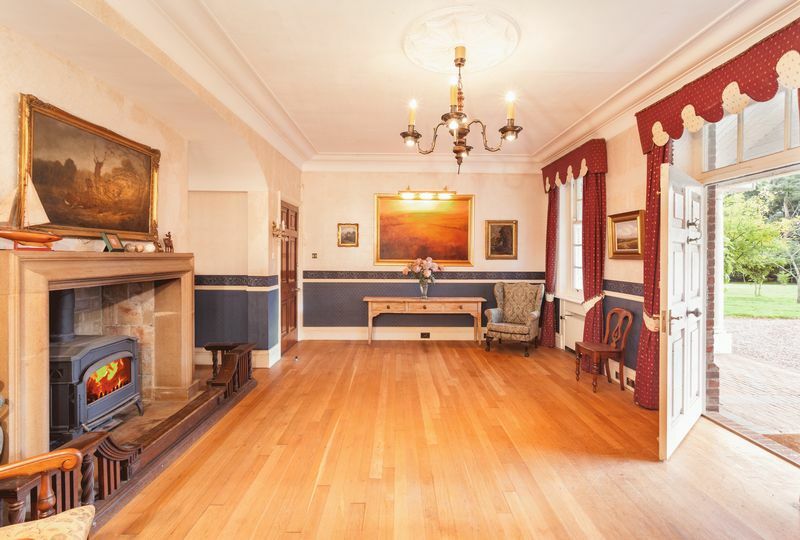 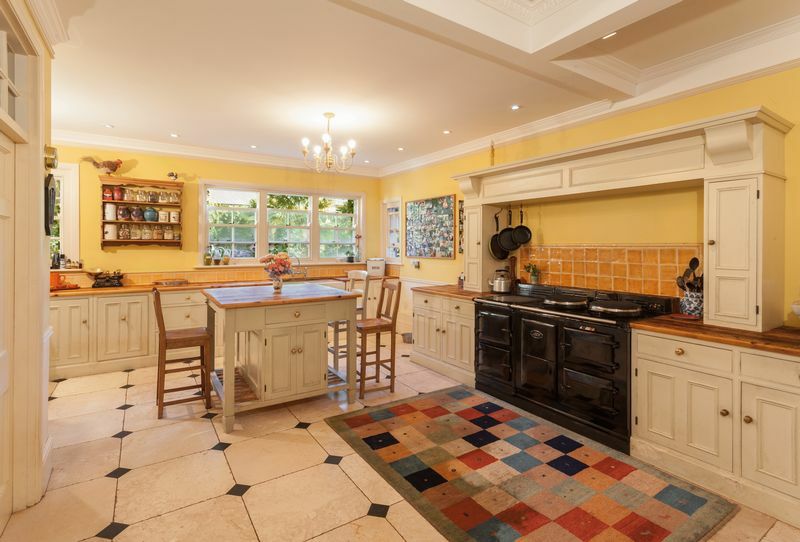 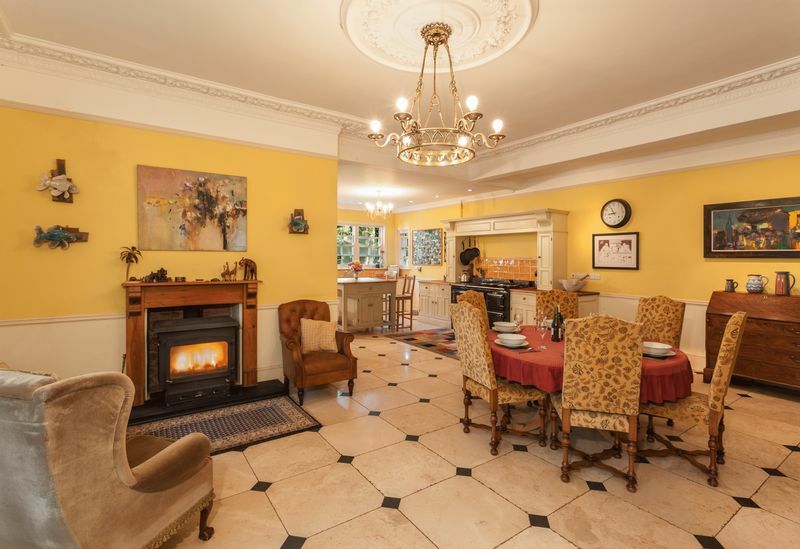 Entrance halls, Sitting room, Drawing room, Snooker room, Study, Kitchen/Breakfast room, Orangery, Second kitchen, Utility room, 2 Store rooms, 2 Cloakrooms, Cellars. 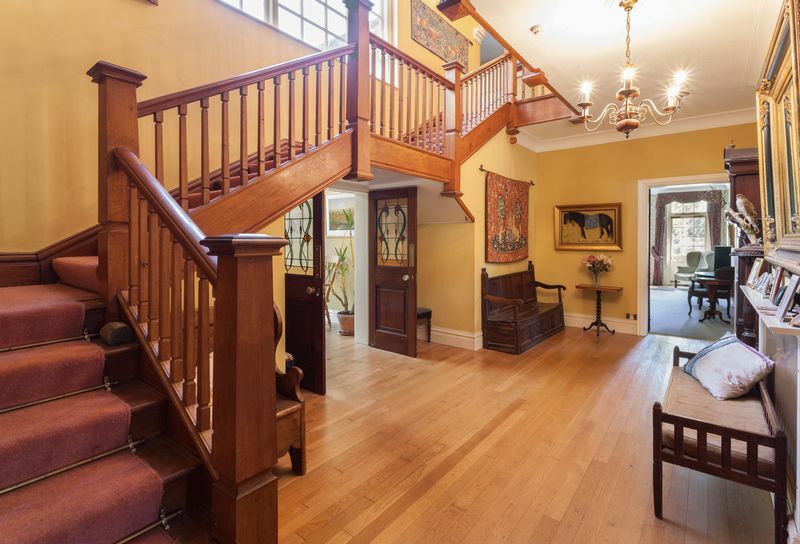 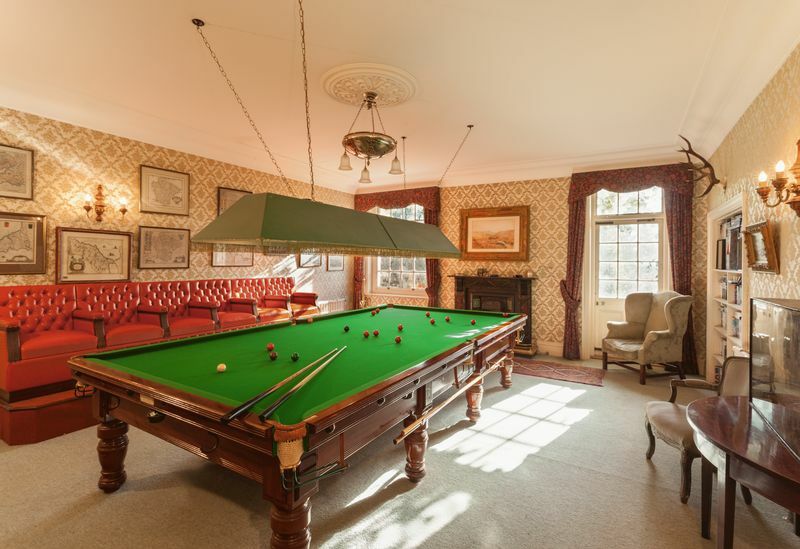 6 Bedrooms, 7 Bathrooms, Storerooms. 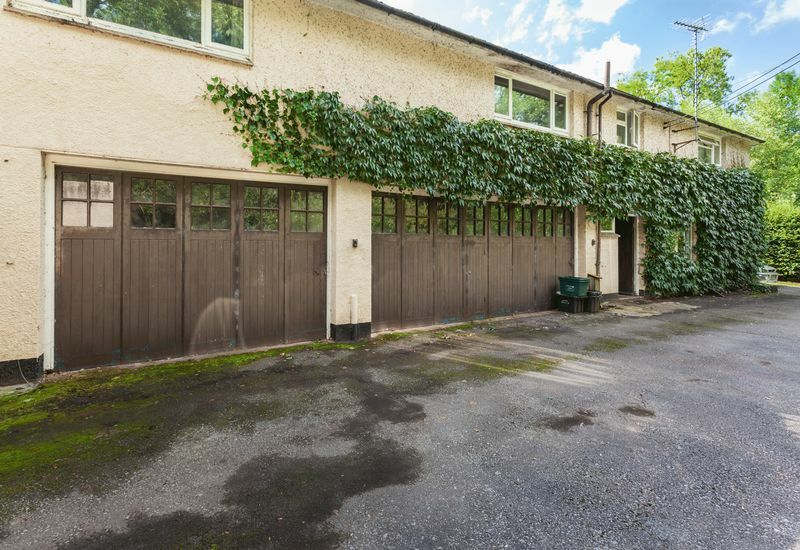 Several Garages, 2 Stables, Large Storage Sheds, Tool Sheds, Apple Store, Gardeners WC. 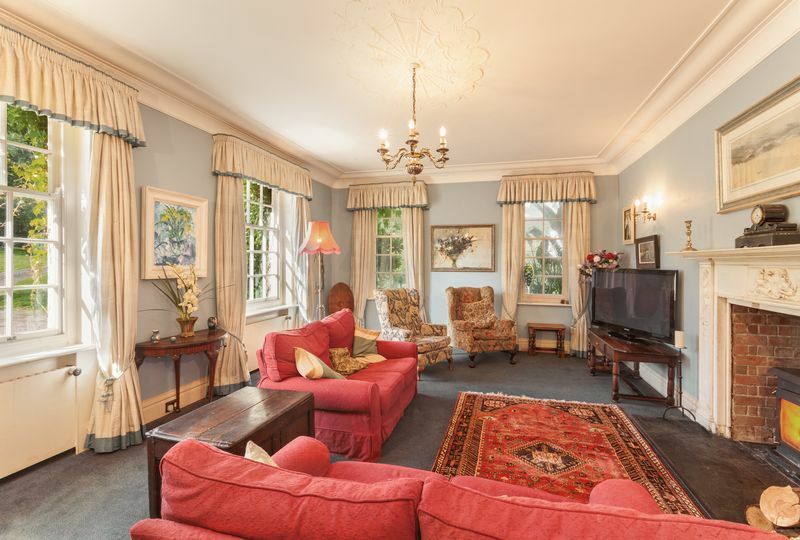 2 Flats with Bedroom, Kitchen, Sitting Room, Bathroom. 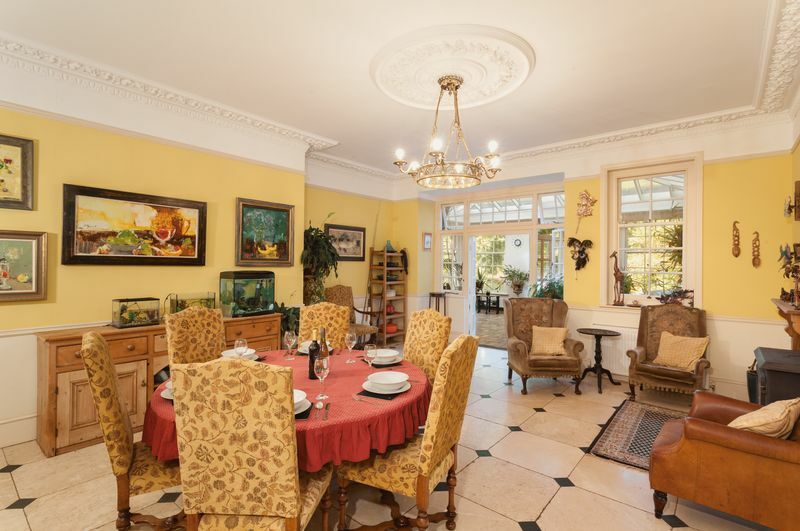 Both let on assured shorthold tenancies. 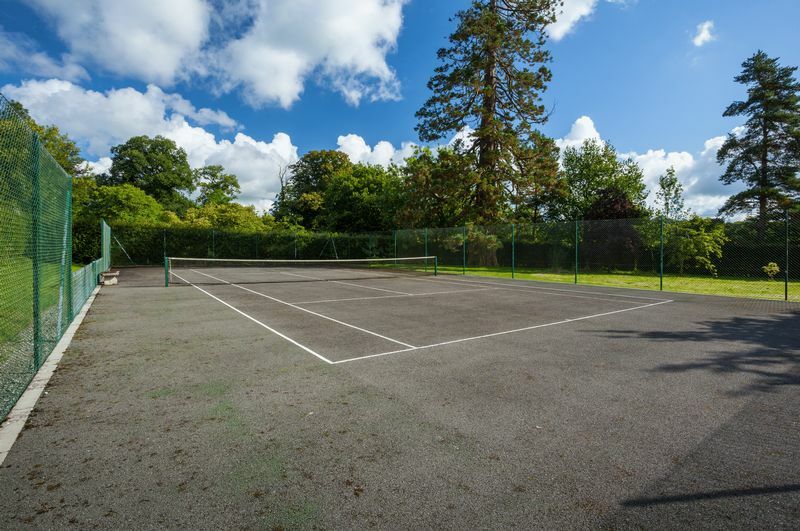 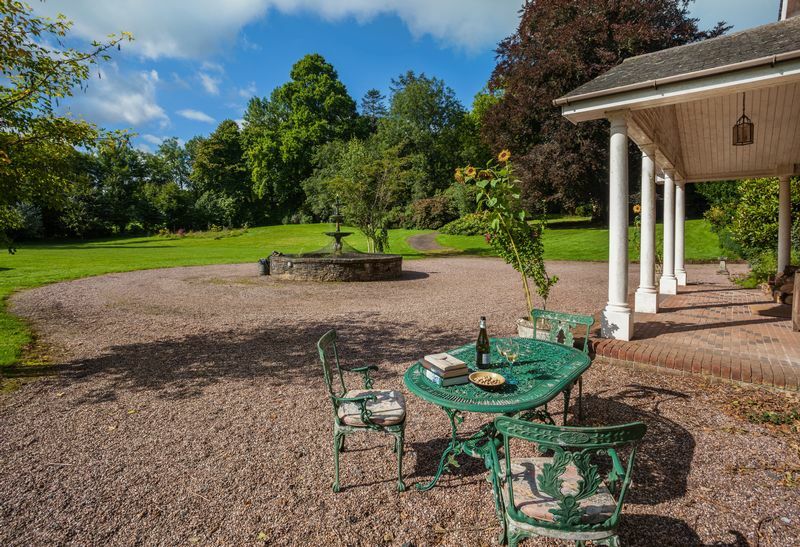 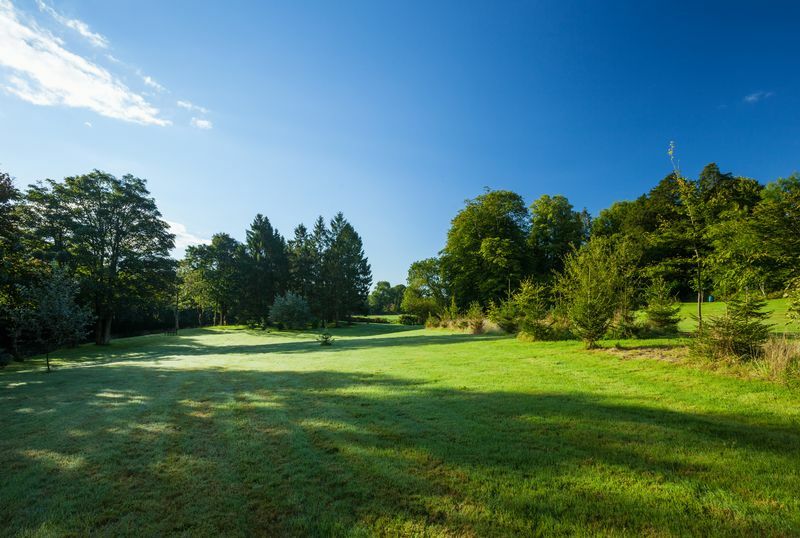 Approximately 10 acres of mature gardens including lawns, woodland with many specimen trees, a hard tennis court and paddock running down to the River Exe which runs down the east boundary. 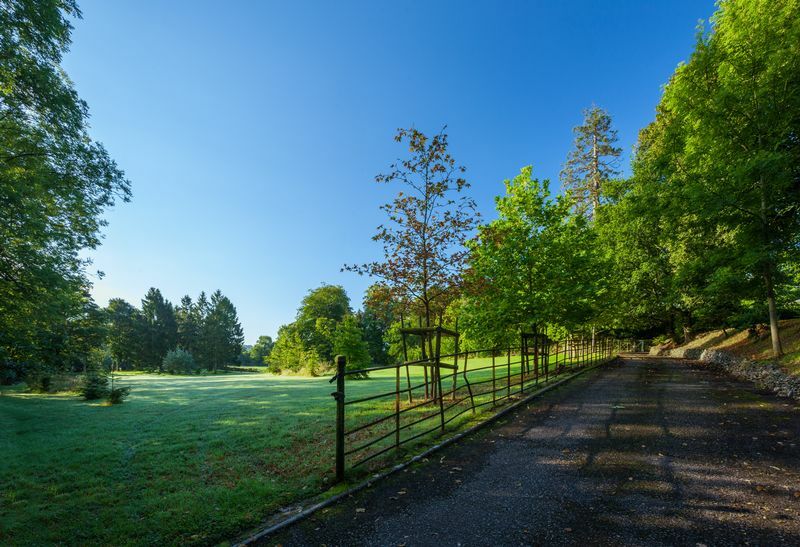 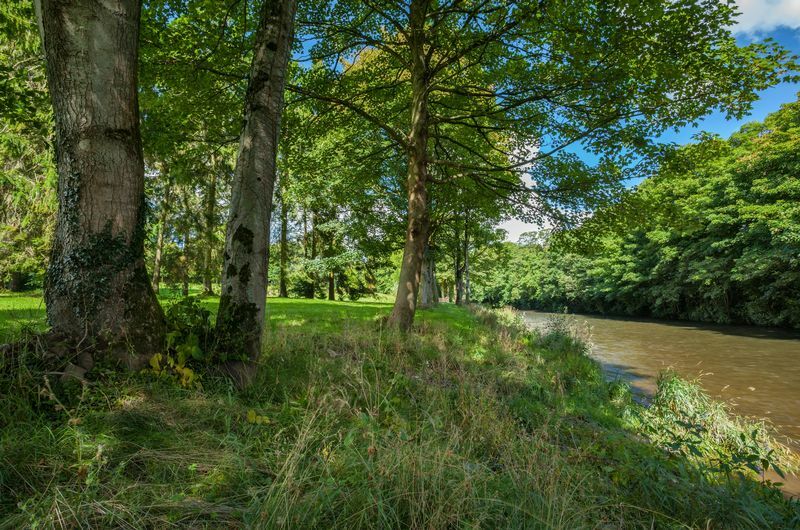 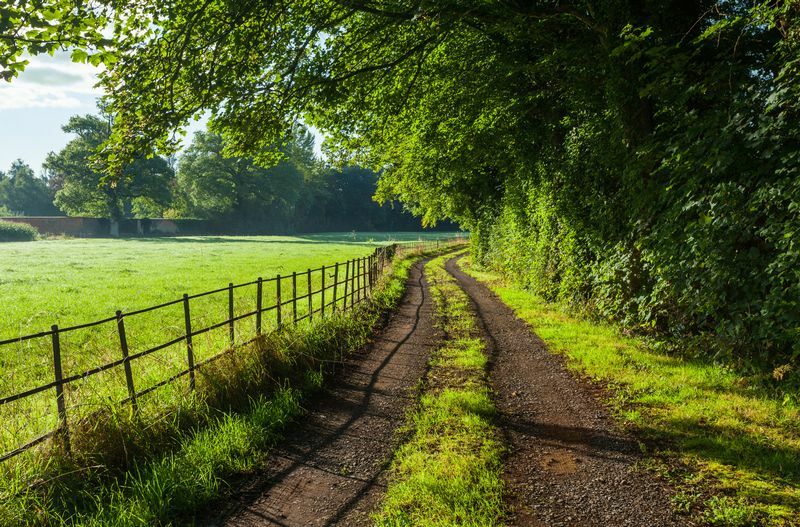 Further land including a walled garden, woodland and fishing rights are available by separate negotiation. 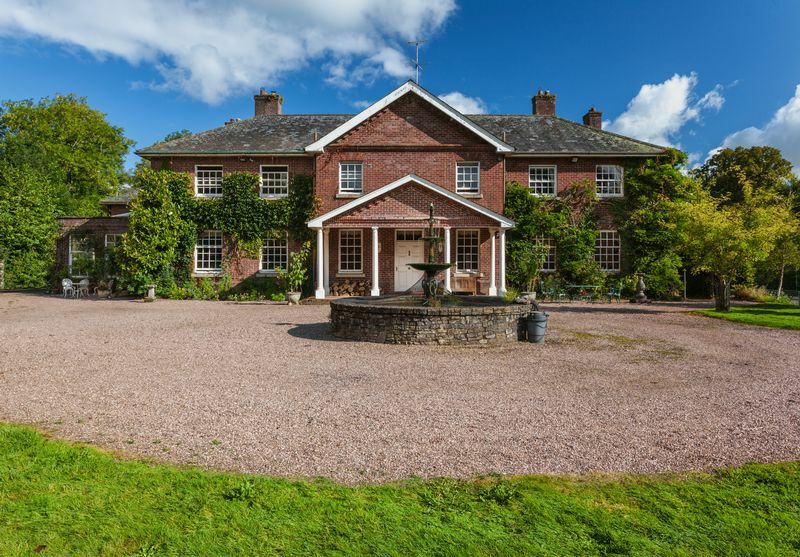 The freehold of Worth House is for sale by private treaty with vacant possession on completion. 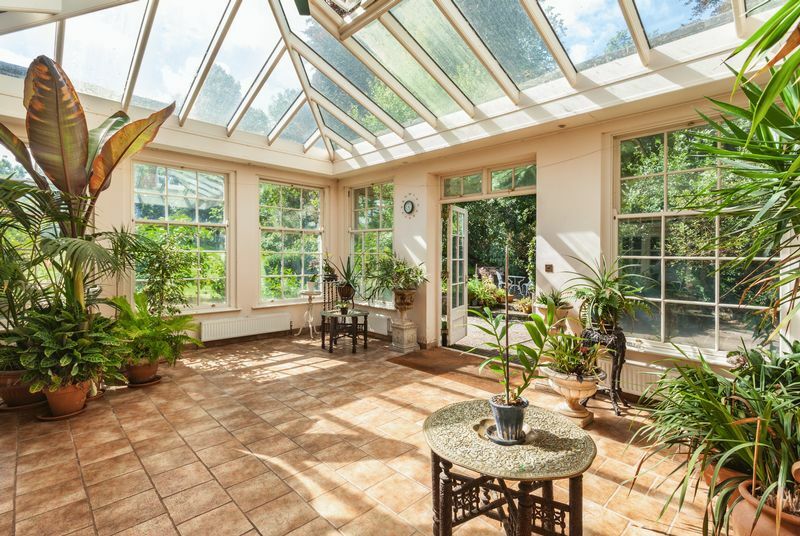 All items usually known as fixtures and fittings whether mentioned or not in these particulars together with all items of equipment and garden statuary are excluded from the sale. 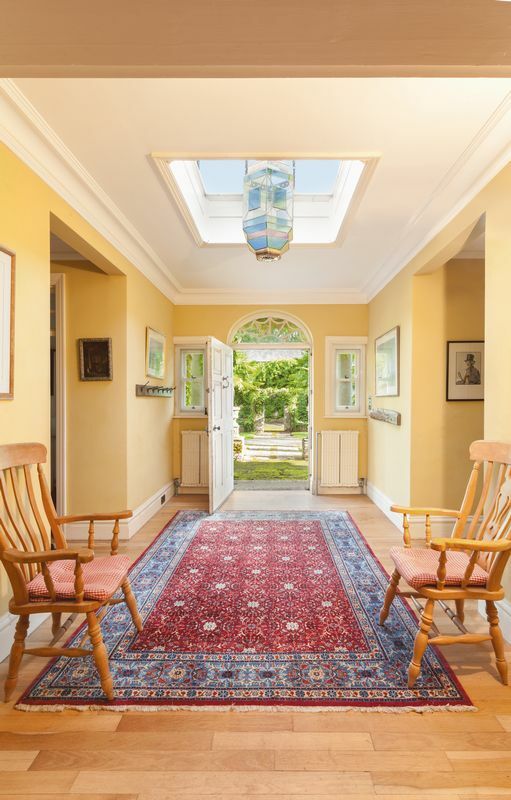 Viewing is strictly by prior appointment.